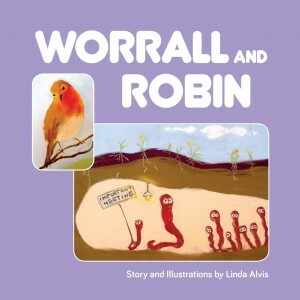 ‘Such adventures and goings on in the garden!’ Can brave Worrall, the chief worm, keep his community safe – including naughty Jimmy Wriggle? Will bossy Robin get his tasty meal? Will he share with the other birds? A DELIGHTFUL READ FOR CHILDREN – OF ALL AGES. The illustrated book will be for sale on the day and with activity sheets and stickers for all who attend. Also available on Amazon and from the Publishers SilverWood.